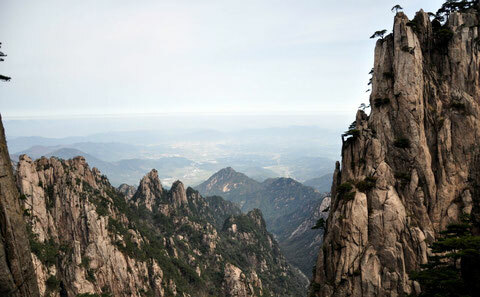 Mt.Huangshan is located in Huangshan City of AnHui Province. It is a world famous scenic resort and a famous tea-producing area in China. According to the legend. Yellow Emperor once practiced self cultivation and alchemy in the mountain, hence the name as “huangshan” (yellow mountain in Chinese). Mt.Huangshan has produced tea since the ancient times. Among the many famous teas it produces, the MaoFeng Tea is the most will-known. Mt.Huangshan has the highest peaks in the east of China. It extends 250 kilometers from east to west. Within Mt. Huangshan scenic resort, the areas around the TaoHua Peak, ZiYun Peak, Yungu Temple, Songgu Temple,DiaoQiao Temple, and Ciguang Pavilion produce superfine HuangShan MaoFeng Tea. These areas are 700 to 800 meters above sea level. Some other areas outside the scenic resort are also the important Huangshan maofeng tea producing areas. These include TangKou, GangCun, YangCun, and FangCun. They were once called Top Four Tea Producers in history. These areas have high mountain, deep valleys, endless mountain peaks, crisscrossing springs, and lush forests. They enjoy a mild climate, plenty of rainfall, and an excellent ecological environment. These are the good conditions responsible for the superb natural quality of the HuangShan MaoFeng Tea. Mt.Huangshan has long been a tea producing place. The maofeng tea from Mt.Huangshan used to be called the YunWu(Cloud and Mist) Tea. 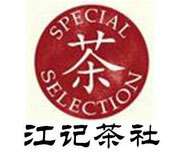 It present name originated in the first year of the reign of Guang Xu in the Qing Dynasty (1875). At that time, Xie Zheng An, a tea trader from SheXian County, established a Xie Yu (Xie’s Wealth) Tea Firm. To meet market demand, he personally led his men to some famous tea gardens at ChongChuan and TangKou in Mt.HuangShan to pick the fat and tender tea buds and tea leaves around the QingMing Festival (Pure Brightness) each year. Through painstaking preparation, he produced a high-quality tea with excellent smell and taste. 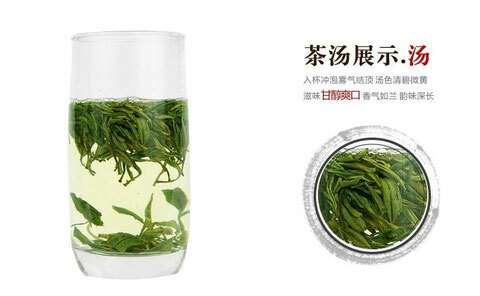 This tea has white tips and peak-like buds, hence its name MaoFeng (hairy tip in Chinese). 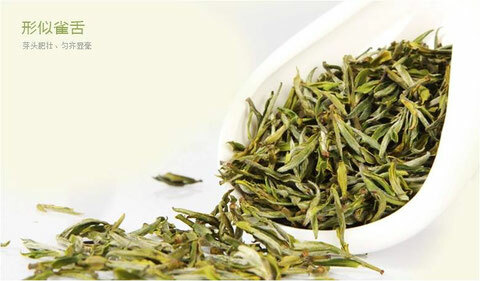 Adding the name of its producing, it is called HuangShan MaoFeng Tea. Now, Huangshan Maofeng tea is produced in a wider area than before, including HuiZhou District, HuangShan District, SheXian District, and YiXian County of HuangShan City on the southern and northern feet of Mt.HuangShan. 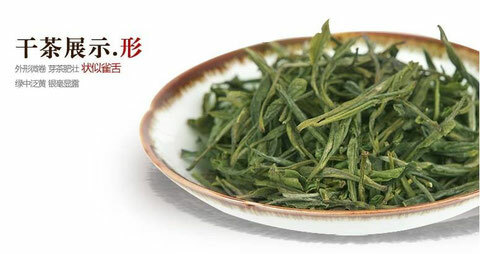 The maofeng tea from Mt.Huangshan is a baked green tea in strip shape. It is picked during the period from Pure Brightness to the Beginning of Summer. The superfine Huangshan maofeng is picked when the first bud and leaf begin to open. The picked buds and fresh leaves should be carefully sorted out to make them even and consistent with each other. The finished huangshan maofeng tea has the shape of a sparrow’s tongue,exposed white tips, the color of the ivory, and golden leaves. The tea soup is clear and tastes fresh and sweet. The brewed tea leaves are yellow and fat and cluster into lumps. After thorough brewing, the tea leaves first stand vertically in the water and slowly sink. Even when the tea water gets cold, it keeps the aroma, known as cold aroma. More information Please Visit " HuangShan MaoFeng"